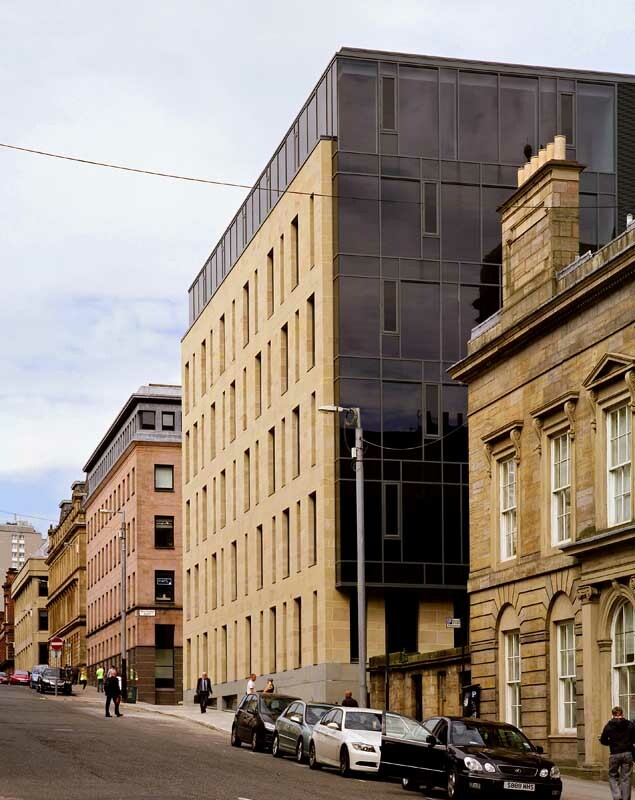 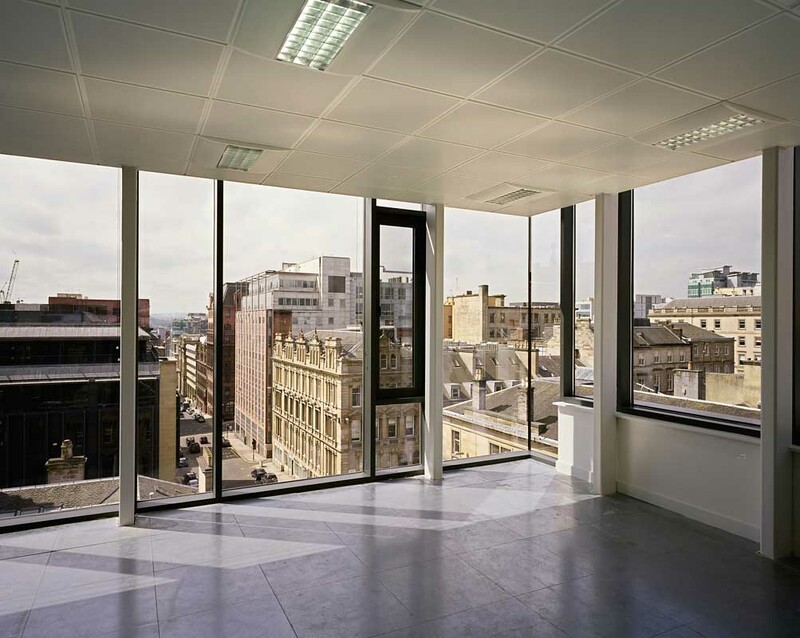 Cornerstone is a 7 storey speculative office development providing 20,665ft² Grade A office accommodation at the junction of West Regent Street and Wellington Street. 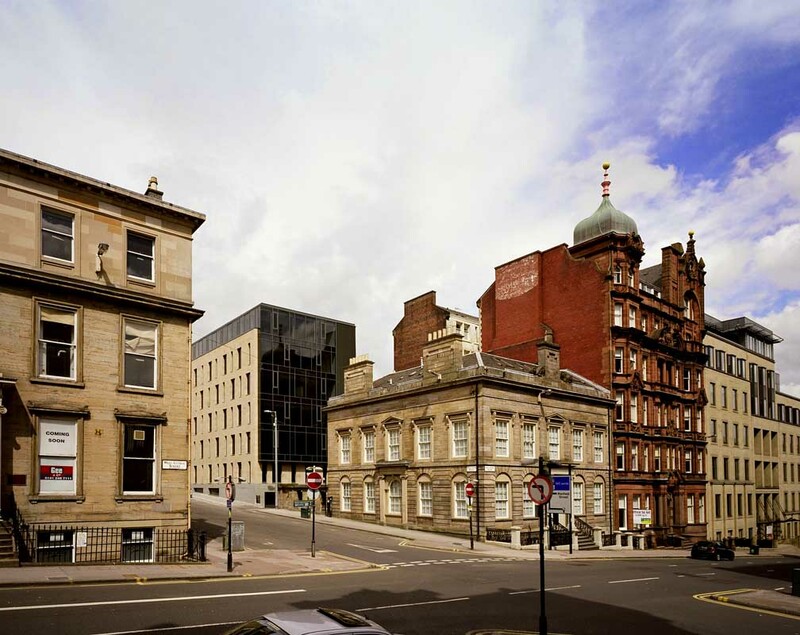 Situated directly opposite the architecture practice’s 1990 120 West Regent Street building, it presents a contemporary interpretation of New Town Classicism, with 4 differing but harmonious elevations read in themselves as a whole and in the round. 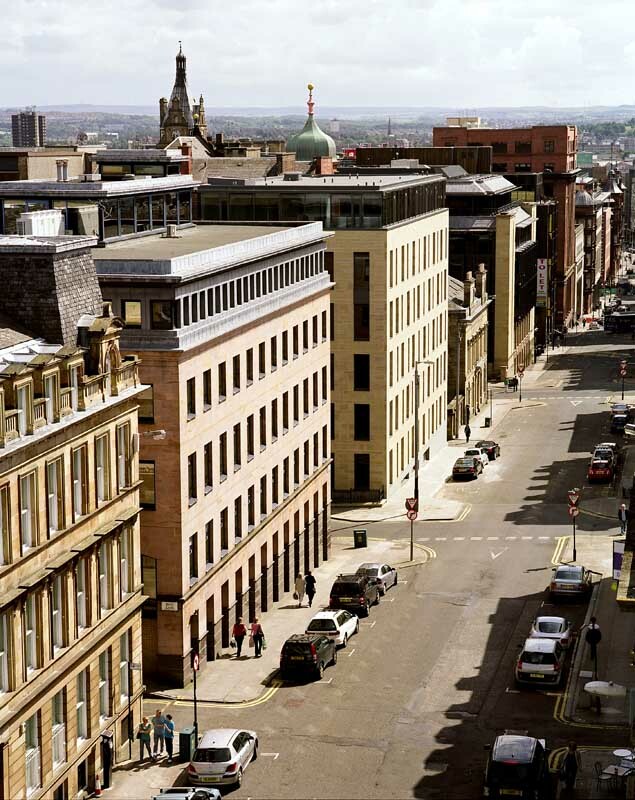 The West Regent Street and Wellington Street facades are traditionally constructed Peak Moor Sandstone on a plinth of Dunhouse Blue sandstone. 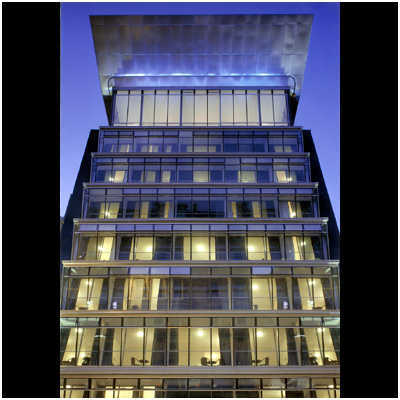 Full height windows punch through the facade to reflect the varying rhythms of both streets. 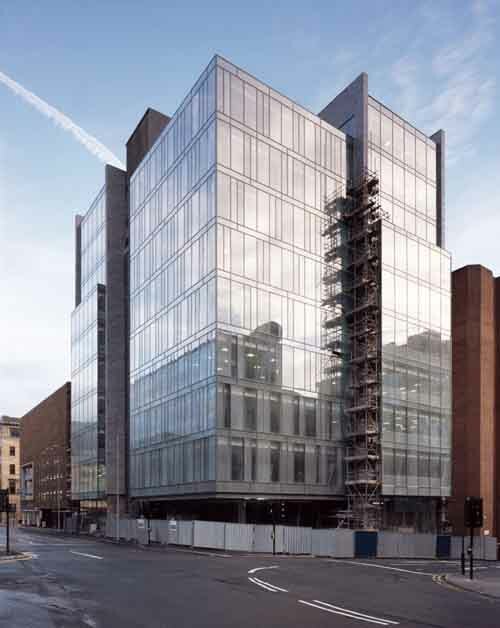 A glass box penetrates the stone mass from above, forming the 5th floor office, and cantilevers over West Regent Lane providing occupants at high level with long range views of the hills to the south, and rooting the building in its immediate context at lower levels. 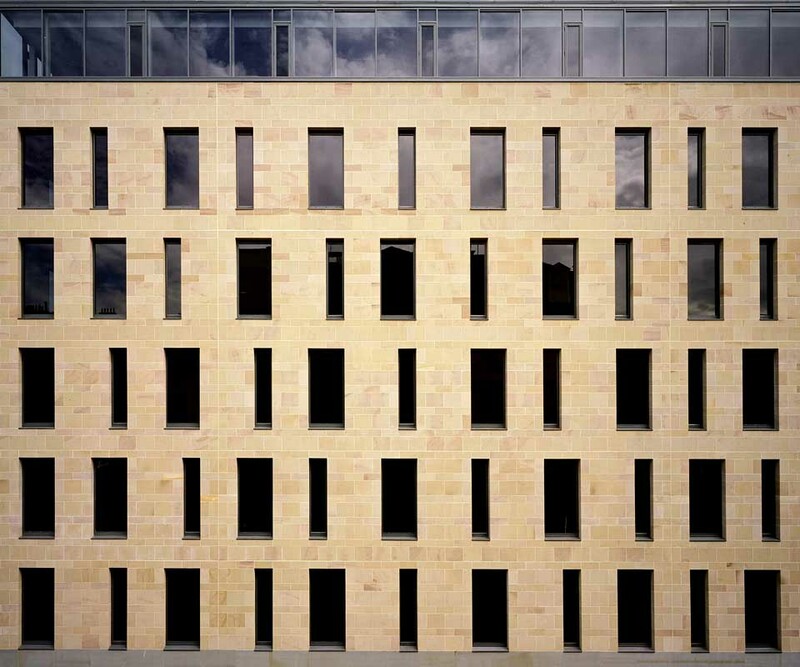 Along with deep window reveals throughout, the sandstone facade is carried into the building at the main entrance to create a robust sense of solidity to the construction. 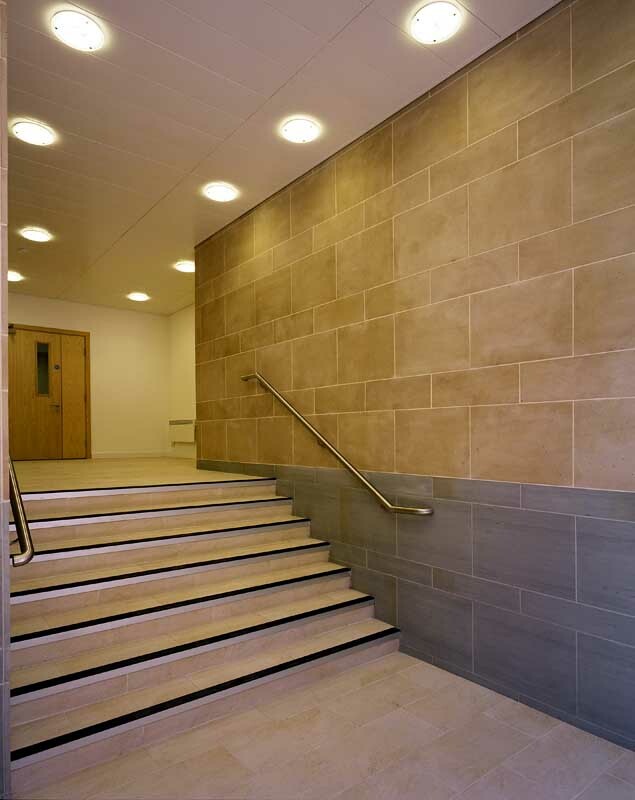 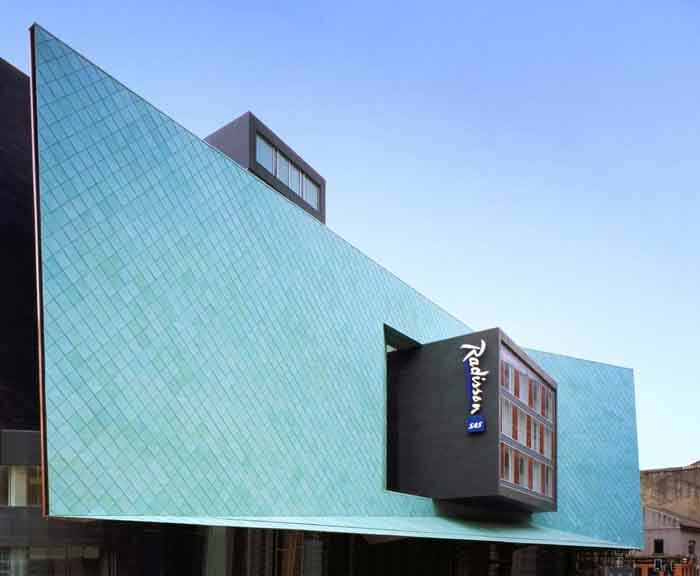 This office building is naturally ventilated, and achieves a Very Good BREEAM rating.